Examining the first century stepped streets that led down to the Temple Mount. Standing on the first century streets of Jerusalem looking up at the massive stones of the southwest corner of the Temple Mount, probably the place the devil tempted Jesus to jump from to gain the admiration of the crowds. We climbed this huge staircase which leads up to the tunnel entrance onto the Temple Mount. 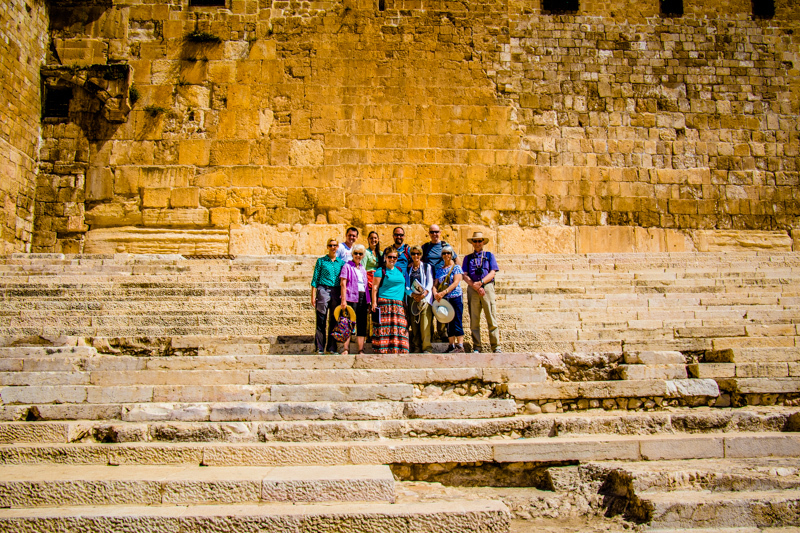 Jesus and the disciples certainly climbed this staircase on their way to and from the Temple. In the underground Western Wall Tunnel we got to see this gigantic stone which Herod's engineers cut 45 feet long, 12 feet high and 12 feet thick, weighing 620 tons! Walking through Hezekiah's Tunnel is not for the claustrophobic or the faint of heart! We returned to the city via the recently discovered Herodian drainage channel underneath the street leading down to the Pool of Siloam. We excited the drainage channel into yet another massive archaeological excavation uncovered by a modern building project in Jerusalem!